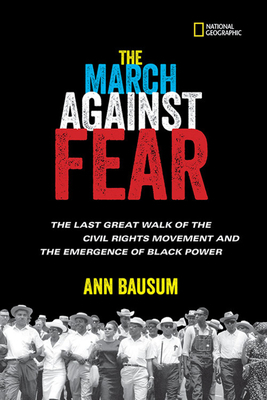 ANN BAUSUM writes about U.S. history for young people, and she has published eight titles with National Geographic Children's Books including, most recently, Marching to the Mountaintop (2012) and Unraveling Freedom (2010). Ann's books consistently earn prominent national recognition. Denied, Detained, Deported(2009) was named the 2010 Carter G. Woodson Book Award winner at the secondary school level from the National Council for the Social Studies. Muckrakers(2007) earned the Golden Kite Award as best nonfiction book of the year from the Society of Children's Book Writers and Illustrators. Freedom Riders (2006) gained Sibert Honor designation from the American Library Association and With Courage and Cloth (2004) received the Jane Addams Children's Book Award as the year's best book on social justice issues for older readers. In addition, Ann has written about the nation's chief executives and their spouses -- Our Country's Presidents(2013, 4th edition) and Our Country's First Ladies (2007) -- as well as the intrepid explorer Roy Chapman Andrews (Dragon Bones and Dinosaur Eggs, 2000).